DHIT (Digital Health Impact + Transformation) & NC Biotechnology Center have partnered for the regional launch of DHIT's Digital Health Happy Hour series at Packard Place, Charlotte on Wednesday, April 24th from 5pm. This popular networking event brings together digital health ecosystem partners including providers, payors, entrepreneurs, investors, researchers, technologists and industry colleagues to shape the future of digital health in North Carolina while enjoying local craft beers. 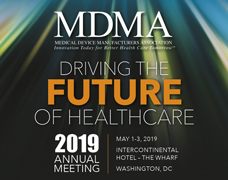 Our featured pop-up speakers will include Michael Levy, President, DHIT who will give an update on how you can join the digital transformation revolution in Healthcare. Register now for this FREE networking event!